For over 15 years, NetSupport BC has delivered a comprehensive range of business continuity services to organisations of all sizes – from server hosting and support for workplace and disaster recovery, to creating bespoke business continuity plans. Now, with a newly designed website with an easy-to-navigate and responsive layout, it’s even easier to check out our services and offers. 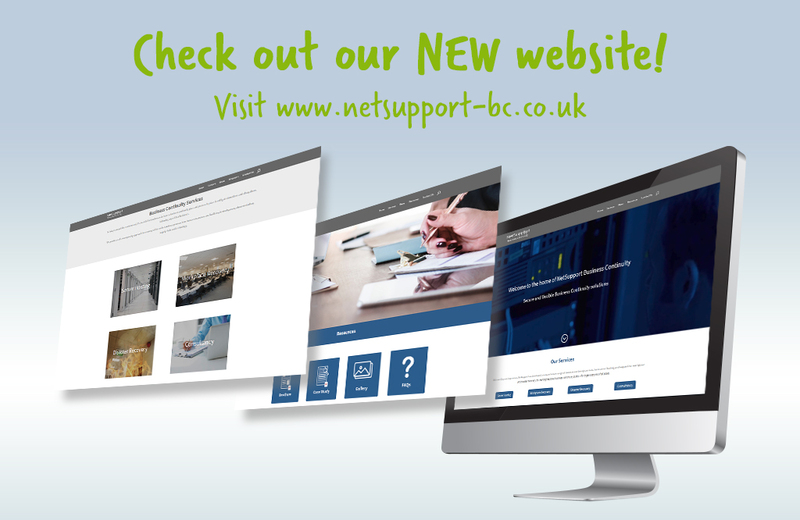 Helping visitors to discover more about NetSupport’s Business Continuity services, the website now features new content including weekly news on a variety of BC topics, new resources such as our brand new FAQ section and new customer case studies.